Since taking on VertueYachts a few years ago I have been constantly surprised by the variety and diversity of the distribution of these tough little boats across the globe. I recently totted up how many of the 250 boats to this design we have been able to trace and find it totals about 82. The lack of precision here is down to the fact that the eagle eye has, from time to time, spotted a vertue from afar, but has been unable to actually verify either her name or ownership! I know there are owners who wish to maintain their privacy and don’t want anything to do with lists, clubs or associations, and I genuinely sympathise with that view. The dark spectre of regulation and bureaucracy stalks those independent souls that prefer not to be listed or licensed. We sailors in Britain are amongst a fortunate few around the world who have been able to remain surprisingly free from controls if we wish. So, whilst I respect a certain amount of reticence from some owners, I am hoping that in the next few years I can at least reach the 150 boats mark. In an effort to make the website more responsive I have had it tweaked (non-technical word) by experts so that even I can update the text and images myself. I hope therefore that these Newsletters will be much more frequent, and before long I am even going to be able to update that section listing and describing the Boats themselves. I am told that this is technically much more difficult, but if yacht brokers can do it, surely it can’t be that complex. My apologies for the very poor progress with this part of the site so far, as I appreciate that it is at the very core of what the website is all about. If this Newsletter appears to be a bit woolly around the edges it is because it is my first try, so please be patient…….. I am aware of at least 39 Vertues in the UK, and there must be many more, but of the 18 or so in Europe only 3 have been in touch from France. This is surprising in view of the high regard with which the designs of Jack Laurent Giles have been held there. That wonderful magazine, chasse-maree, have just published a delightful article about what might be termed the ‘Vertue Dynasty’ of design. Beautiful reproductions of the design drawings and photographs of those close ‘cousins’, Vertue XXXV, Dyarchy and Wanderer III adorn the pages and I can’t wait for the next instalment of the Giles story next month. I was recently asked to produce some illustrations for a splendid new book by Nicholas Gray about those intrepid, early single-handers who doubled Cape Horn before the days of ‘Golden Globes’ or ‘Vendees’. One of these was Bill Nance who had bought Cardinal Vertue from David Lewis. 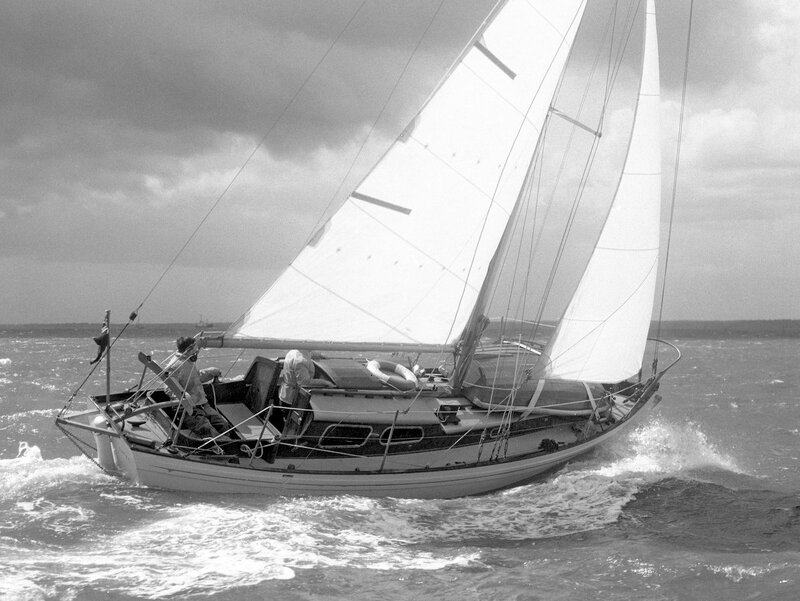 After serving a short seagoing apprenticeship with Bob Roberts aboard the Thames Barge ‘Cambria’, he then set off around the world…. on his own! I was especially pleased to be asked to research and draw an image of that boat, which I am reproducing above. The book is called ‘Astronauts of Cape Horn’ and is due to be published soon. Every Vertue enthusiast should buy a copy once it is published, if only to read a little more about Cardinal Vertue, her illusive skipper and his incredible Southern Ocean passages! One of the reasons I have been able to take on this illustration work is that I have been reducing my involvement in architectural work. 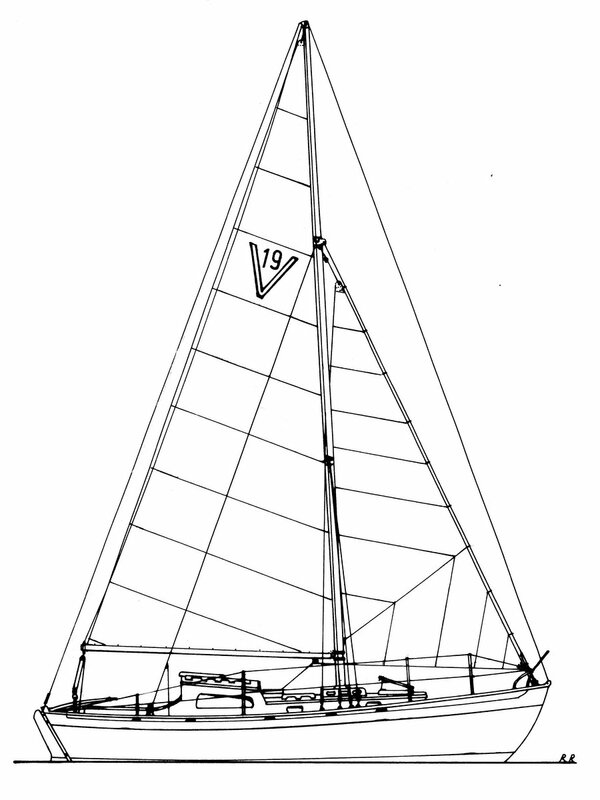 Another is that a couple of fairly minor health issues have curtailed the refit of my own Vertue, Raumati. I have now decided to pass her on to another ‘custodian’, partly because the refit was really taking too long, but also because I have more than enough writing, illustrating and website commitments to keep me busy. I am hoping that VertueYachts.com will benefit from my change of tack! 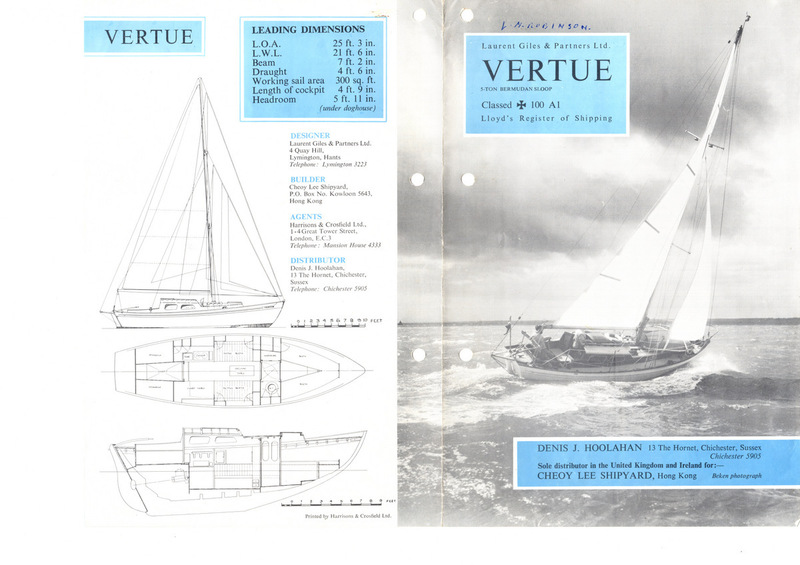 Raumati, V112, has long been a special boat for me because this Beken photograph of her adorned the front cover of the sales brochure for the Cheoy Lee Vertues that were imported into Britain in the early 1960’s. My father bought the first of them, Hoitak, and it wasn’t until five years ago that I bought Raumati. I was also able to acquire her original clinker built dinghy, clearly visible on the foredeck. Raumati, Elkins built, is featured on the cover of the Hong Kong Cheoy Lee Shipyard in their 1963 brochure for new Vertues built in Teak. She appears to be the last Vertue built by E.F.Elkins in Christchurch, in 1962, and has an impeccable specification with teak bottom planking and mahogany topsides. 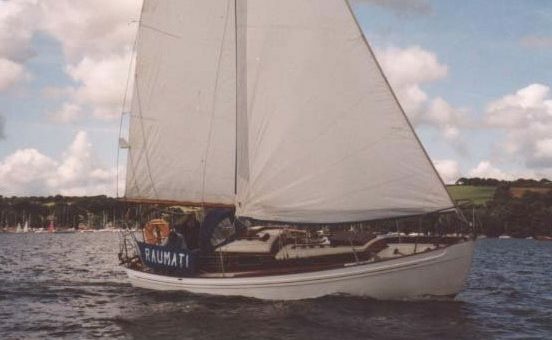 Many older Vertues suffer from corroded galvanised floors but Raumati has cast bronze ones, together with bronze keel bolts supporting her lead keel. All her deck works are teak and she still has her original spruce spars, Blakes heads, and Taylors paraffin cooker. The only really new piece of equipment is her Beta 14 diesel auxiliary which has recently been installed. 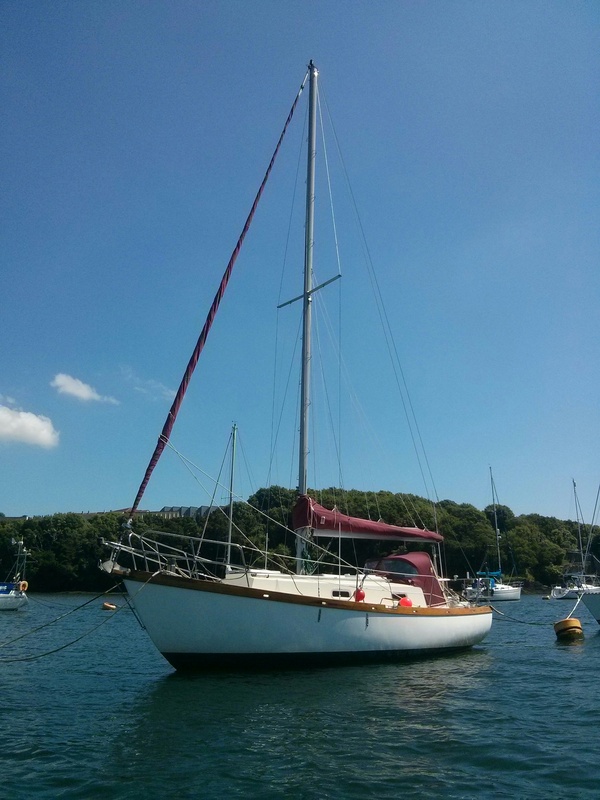 She is ashore in her own Dancover shed here in Devon and I am asking £14,800 for her: but am really looking for a good home for an outstanding, classic example, of a Vertue. but I am also able to send more info directly in response to enquiries here. Raumati under sail. She still has that dinghy! As far as I know most of the other Vertues that I have listed recently are still for sale, so it’s a great time to buy a Vertue! One of the strip-planked vertues to be built to the MK II lines has recently moved to the River Tamar and her owner, Jon Dunsdon, has just sent me this picture of her. 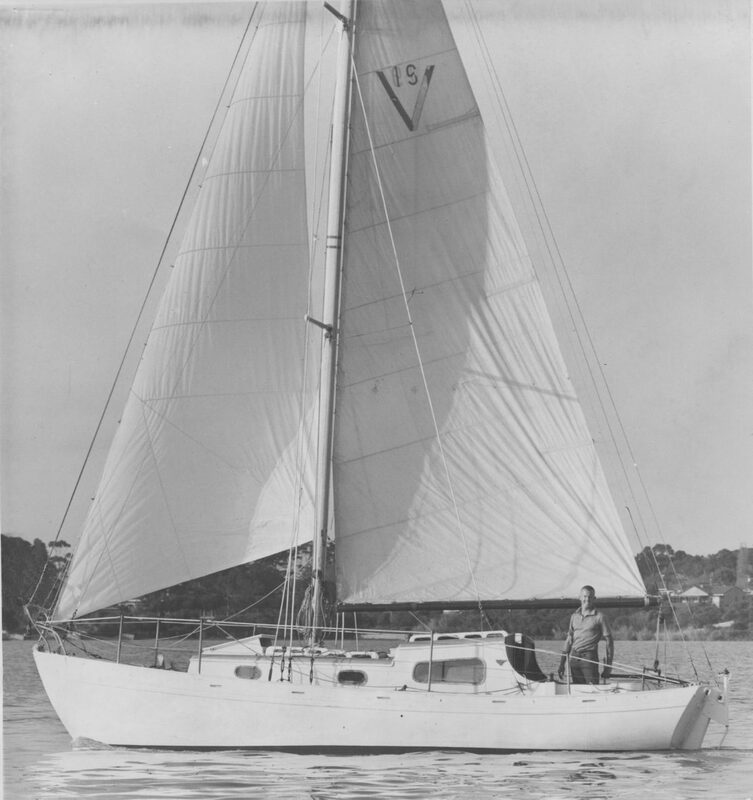 It is interesting to see how much the general appearance of the Vertue design has changed over the decades: she’s a far cry from those perky little pre-war boats with their low freeboard, small coach roofs, and well sprung sheerlines. 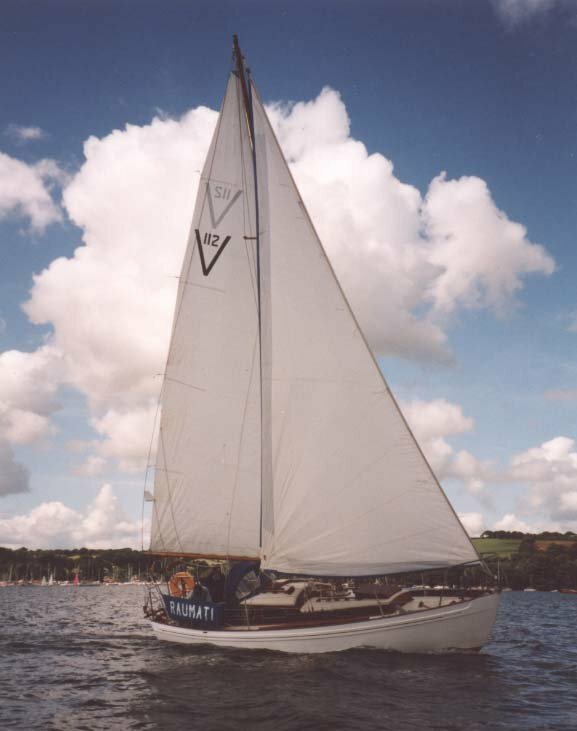 Hippo was built using the cedar strip epoxy system by Paul Dare in 1999 and is well travelled, having made several transatlantic passages, mostly single-handed. What an extraordinary number of long passages these little boats have made! Copyright © 2014-2016 VertueYachts.com. All rights reserved. Original Vertue drawings are reproduced with the permission of The Laurent Giles Archive.